This year we are honored to welcome Rev. Dr. Jamie Washington, an incredible consultant in higher education and founder of the nationally-respected Social Justice Training Institute (SJTI), as our keynote speaker. Listed as a veteran of the civil rights movement, you can read more about Dr. Washington here. Lunch will be provided, and there is limited space, so we kindly ask that you RSVP for this event. We would be honored if you are able to join us! 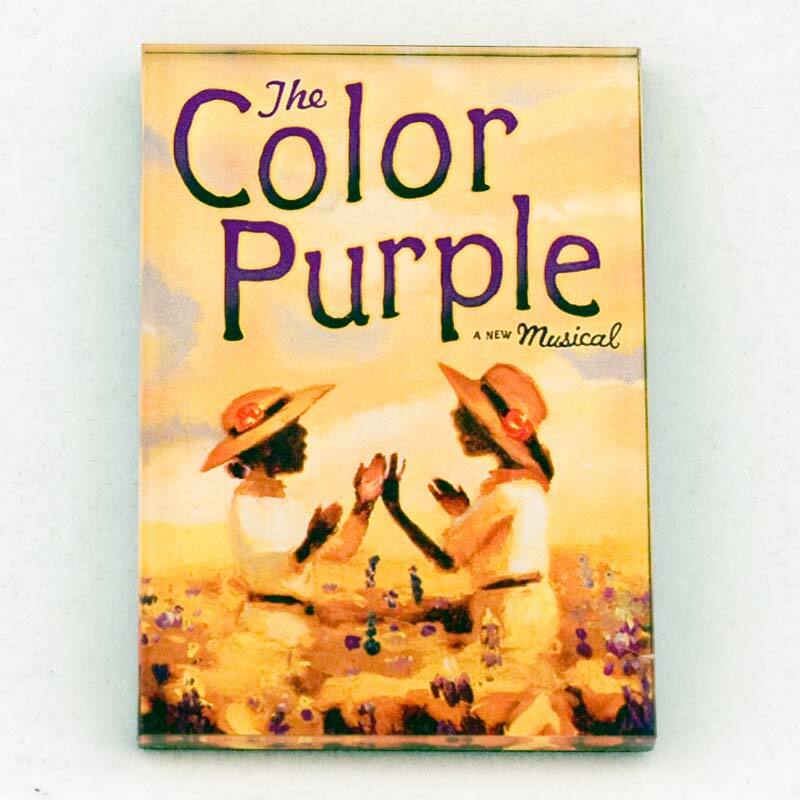 The Campus Club has Orchestra (section one, which is the first 18 rows) tickets for Broadway performance of “The Color Purple”. Tickets are $65.00 each. There are less expensive tickets on line, but not for this close seating! MAKE PLANS NOW TO JOIN US FOR A FUN AND FRIENDLY WAY TO SERVE YOUR COMMUNITY AND HONOR DR. KING. On Saturday, January 16, United Way Capital Area and Hands on Central Texas invite you to celebrate Dr. Martin Luther King, Jr. with a day of service. We need your help now more than ever. Please join us and bring friends, family and co-workers. You can change the course of Austin’s future, and it starts with service. Sign up now! 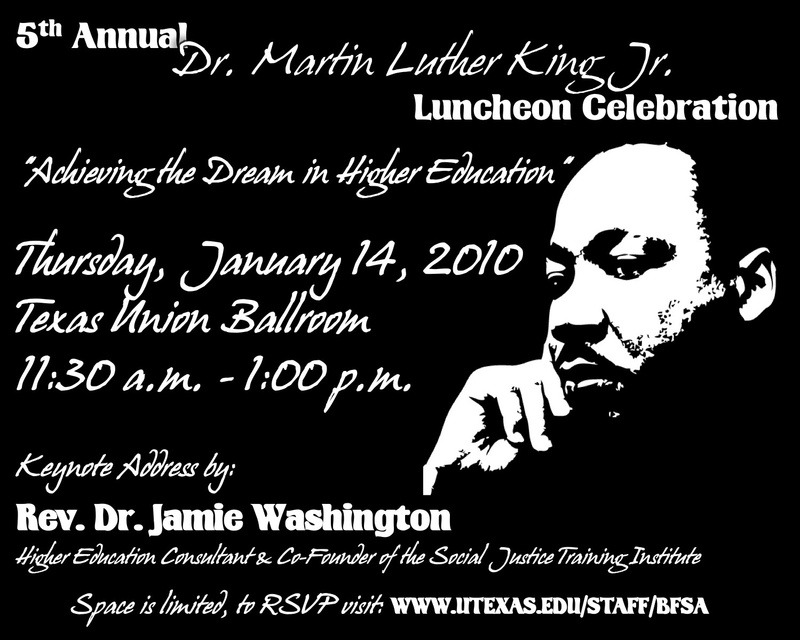 PS: See video and photos from last year’s event, then make sure to sign up for the 2010 MLK Day of Service. The “Constant Contact Cares4Kids” program supports educational and social non-profit organizations that help children. Learn more about the Cares4Kids program. More than 250,000 small businesses and organizations trust Constant Contact to connect with their customers and members. Signup for a free 60-day trial. UT program starts at 9AM. Capitol program starts at 10AM. To celebrate the national MLK day holiday, the Heritage Council is sponsoring the Community March. The purpose of this 16th annual Community March is to celebrate Dr. Martin Luther King’s legacy while uplifting diversity and multi-culturalism in our city. 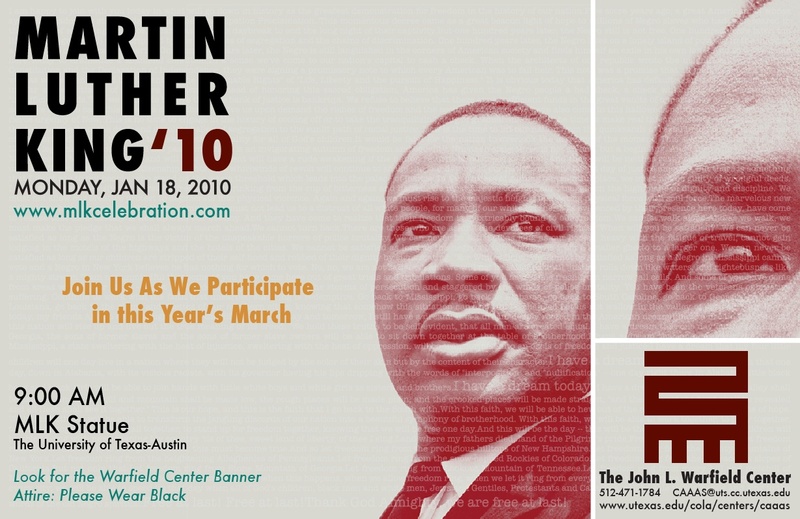 The MLK Community March kicks off at 9 a.m. with a short program at the MLK Statue on the University of Texas campus. We will then march to the Capitol for a brief program. Thereafter, we will march to the historic Huston-Tillotson University, where exciting activities are planned. The Heritage Council is planning a Cultural Festival which will begin after the March and last until 2 p.m.; it will include all types of vendors and local musical artists to make this year’s celebration the best ever! A vendor application can be downloaded below for those interested in purchasing booth space. For questions and information, please contact Carol Wright by email or by telephone at (512) 323-6773 ext. 102. In previous years, the march has drawn up to an estimated 15,000 people and we are anticipating even more individuals to unite for this special occasion in January 2010. All businesses, non-profit organizations and individuals are invited to march with us and celebrate Dr. King’s legacy. LONE STAR LEGACY is seeking work for our PREMIERE SEPTEMBER 2010 FALL ISSUE by Writers from Texas and Writers with Connections to Texas. Lone Star Legacy is looking for work that details the struggles, existence, and triumphs of trailblazing African Americans (current and past) throughout Texas, including various periods from their arrival to the present. Submissions should be the author’s original work. No reprints please. Writers whose work is selected will be asked to submit an electronic copy upon acceptance. Include a self-addressed, stamped envelope for our reply. The reading period is from December 5, 2009 to March 1, 2010. Writers whose work is selected will receive a free issue.